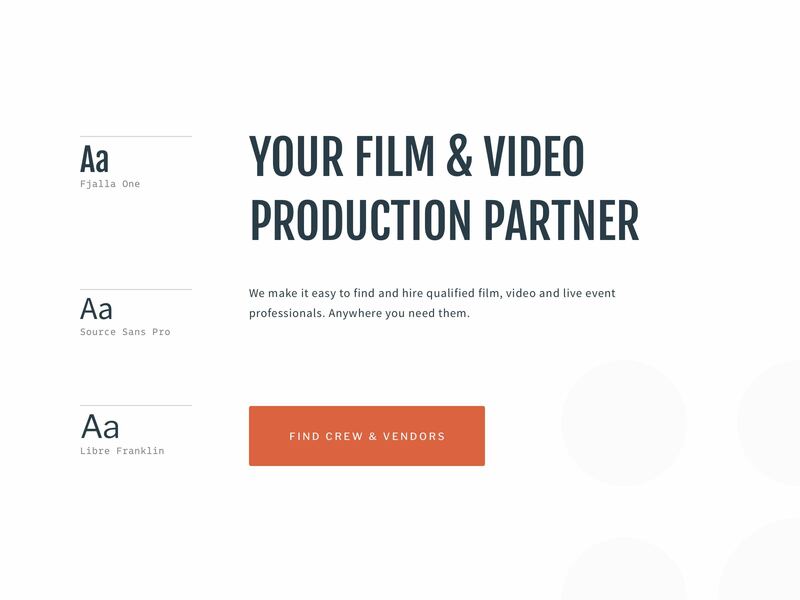 Since 1999, ProductionHUB is a staple in the film and video production industry. 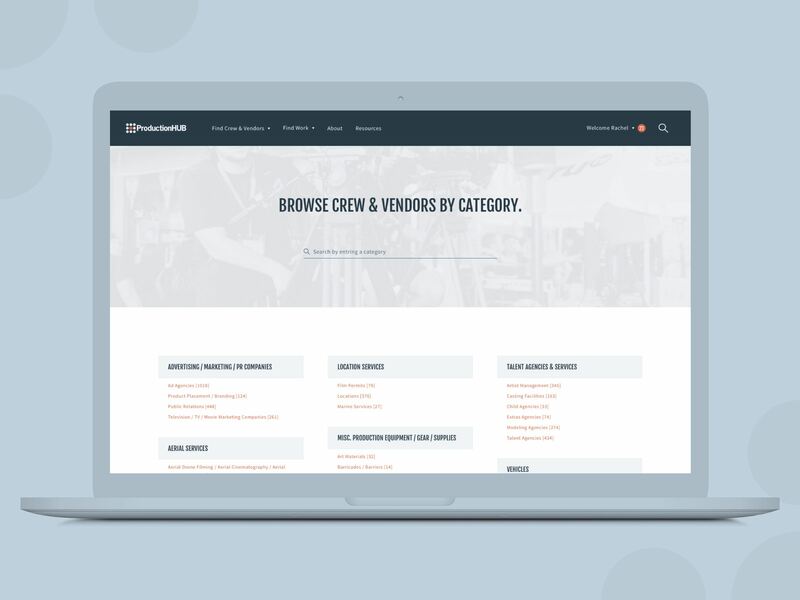 Their online platform allows users to find work, as well as hire employees and crew. 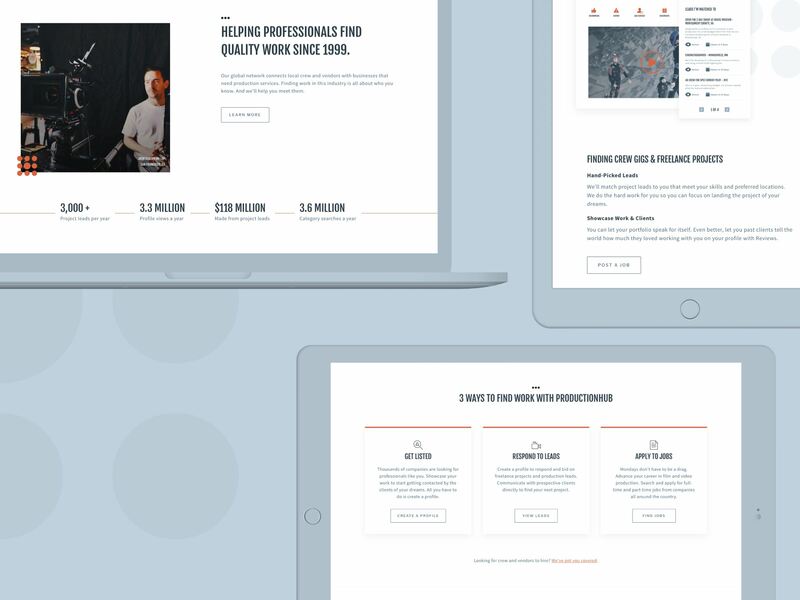 Though their site evolved over the last 19 years, their marketing pages needed a fresh coat of paint. Working with their Marketing Coordinator, handoff from design to in-house development took place. 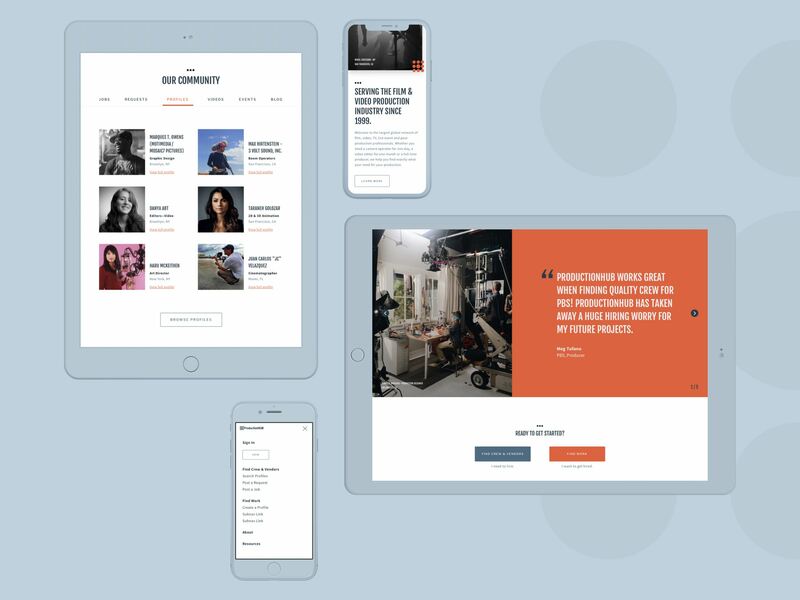 To maximize on ProductionHUB's redesign, an analysis of the previous style guide occurred. The result was the color palette and typography felt run down and in need of a refresh. 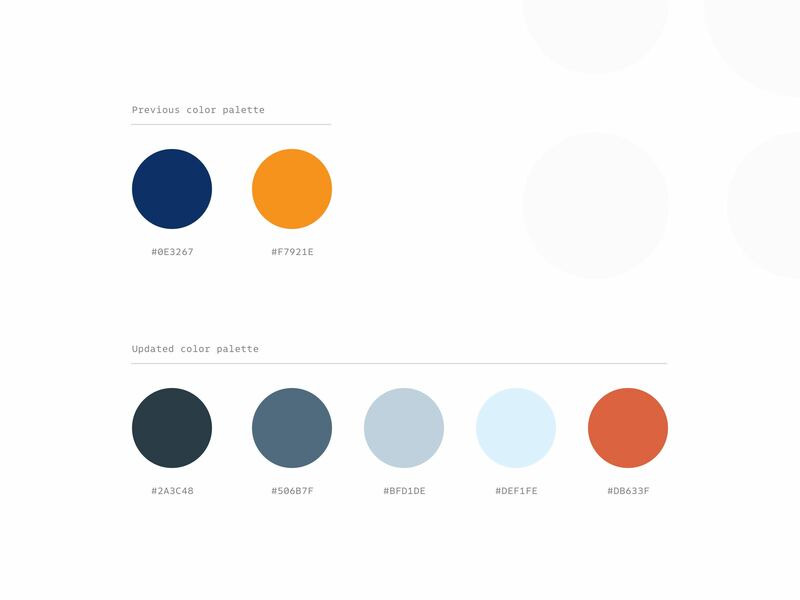 Collaborative efforts led the team to a new type stack and palette. The foundations immediately felt well crafted, modern, and professional. 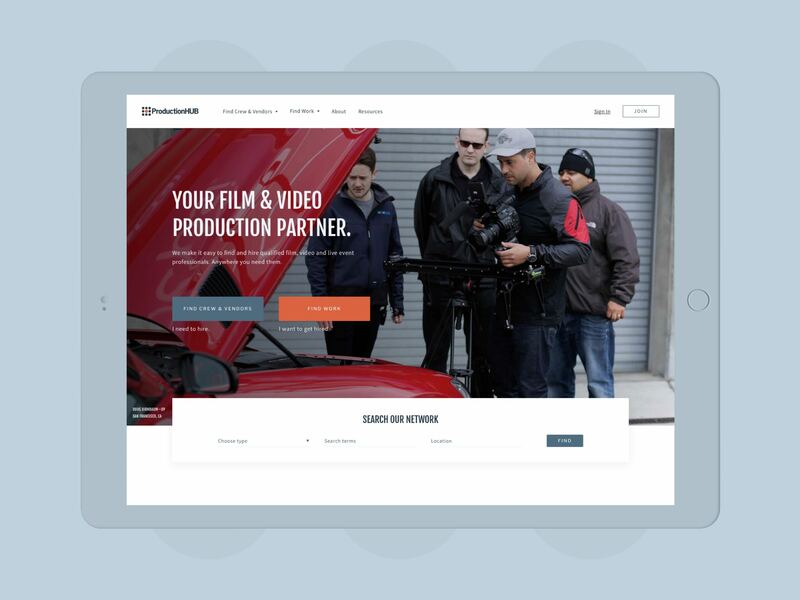 Although their website evolved over time, ProductionHUB's previous iteration lacked a contemporary aesthetic. 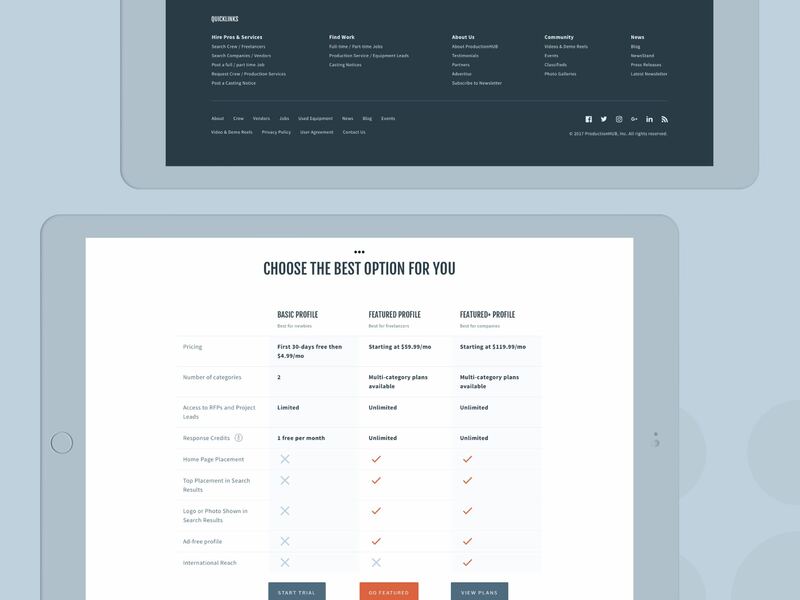 An emphasis on white space, strong typography, and bold visuals breathed new life onto the marketing pages. All photography came from their community—a true testament to their global network. It's important that the look and feel is consistent on both ends of the platform. At the same time, it should be easy for the user to distinguish between marketing and member pages. 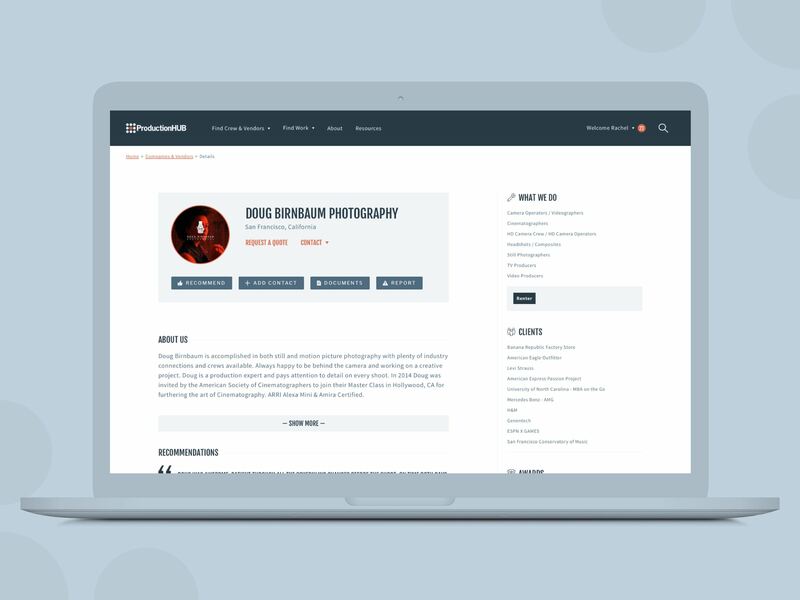 Creating a different navigation component gives the member pages it's own identity.